Did you know that your microbiome is considered an organ? And, that it is more powerful than all of your hormone glands put together? 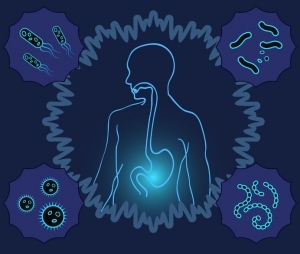 Some 100 trillion organisms reside in your gut, your mouth, and on your skin. The microbiome is the genetic material of all the microbes – bacteria, fungi, protozoa and viruses – that live on and inside the human body. The bacteria in the microbiome help us to digest food, protect our immune system and brain, protect us against unhealthy bacteria, and help to balance hormones. The microbiome produces and secretes hormones and regulates the expression of your genes. 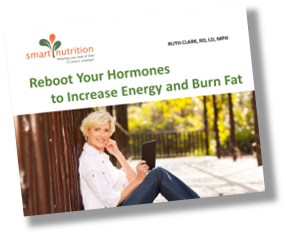 If you feel that your hormones could be creating symptoms such as fatigue, mood, weight loss resistance, hot flashes, night sweats, and all the aggravating symptom that we associate with hormone imbalance, it’s important to know that you won’t get far in balancing those errant hormones unless you address the health of your gut. 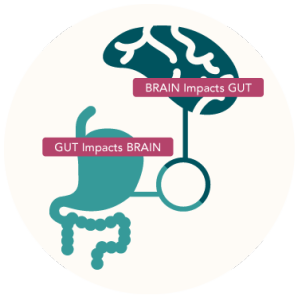 Here are some good examples of how the gut influences how we look and feel. Serotonin, which is a neurotransmitter, is produced in the digestive tract. 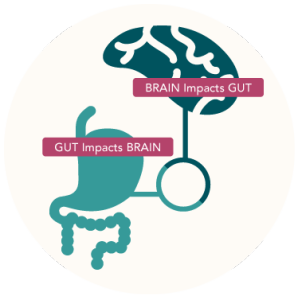 In fact, 90% of all serotonin produced in our body comes from the gut. Serotonin helps to regulate communication between the gut and the brain. It alters our parasympathetic nervous system which can impact our sleep and ability to relax. Serotonin also plays a role in the movement of our gut. It can be a factor in such issues as indigestion and constipation. Another neurotransmitter affected by the gut is dopamine. Dopamine is linked to the reward centers in the brain. When levels of dopamine are low it can have a profound impact on your mood. In addition, a certain set of your gut bacteria is responsible for metabolizing estrogen. This is called the estrobolome. When your estrobolome is unbalanced, this can lead to excess estrogen which is associated with estrogen dominance and increased risk for breast cancer. I think it is fair to say that it is practically impossible in the modern world with our exposure to stress, toxins and genetically modified foods to maintain a healthy gut microbiome. The key is to make sure you have a higher ratio of healthy bacteria (known as probiotics) to unhealthy bacteria such as e. coli and c. diff. And, that you have lots of diversity when it comes to your healthy bacteria. This takes some work! Check out my blog post Tend to Your Gut for tips on improving gut health. You should be aware that if you have food sensitivities, your gut will not heal. I recommend working with a Registered Dietitian Nutritionist who can take you through an elimination diet to get some answers on this for you. I presently work with clients all over the world by phone and internet. Please send me an email if you are interested in learning more. 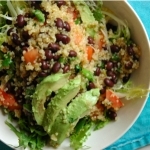 The recipe of the month, Black Bean and Quinoa Salad incorporates three of the guidelines identified in the blog — prebiotics, high fiber foods, and foods high in resistant starch. 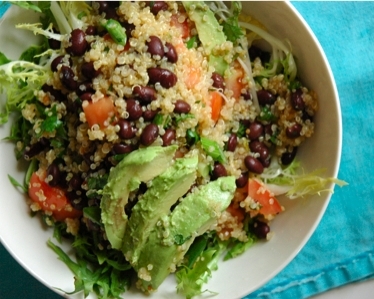 It’s a delicious recipe and my clients love it. It is easy to make and one of the favorites in my soon to be released eRecipe Book, Cool the Fire Within: Balance Hormones and Curb Inflammation with Food. Did you miss any of my earlier emails about Healing Adrenals, Estrogen Dominance, or Adaptogens? Check them out as blog posts HERE.